Let's wrap up this week with some great bags. 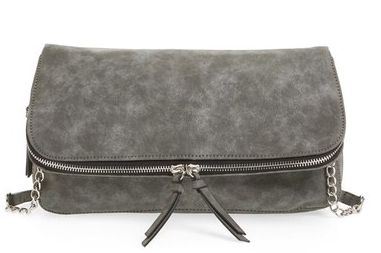 On Monday we featured a great foldover clutch from Forever 21 that I loved. I think clutch for weekend wear is...well, clutch. It's tiny, efficient, and easy to swap in and out with different looks. 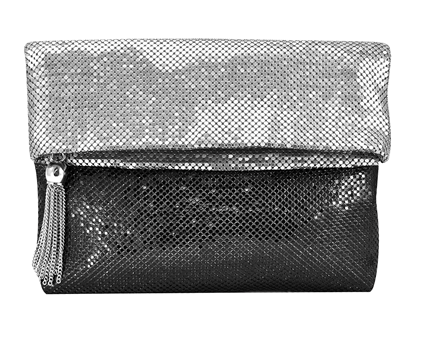 Today I'm not picking any style or color, I just want to feature some great foldover clutch options. I mean, hello. Chic central. This is a girls night bag. Nothing more to say. It's also $11. Party time! Picture this with denim and heels. 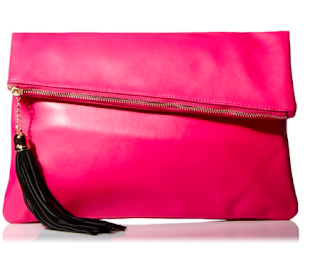 And on the other end of the party, this boho chic denim clutch! A simple but powerful clutch is really going to pull your outfit together. Try a foldover option for a fun and versatile look.